Injuries are estimated to cost $406 billion per year in the U.S.
Across the U.S., adults and children of all ages face the possibility of unexpected injury every day. No matter how careful we are, injuries can happen in almost any circumstance. Motor vehicle crashes pose a threat, as do falls, accidents in the workplace, poorly maintained premises, defective products and other potential risks. According to the Centers for Disease Control and Prevention, injuries are the leading cause of death for Americans between the ages of 1 and 44. Nearly three million must be hospitalized each year in the U.S. because of injuries. 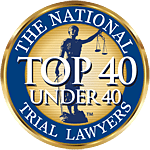 The personal injury lawyers at the Fort Myers, Naples, Cape Coral and other Southwest Florida locations of Associates and Bruce L. Scheiner, Attorneys for the Injured, have dedicated our efforts to representing injury victims for 40 years. Perhaps because Mr. Scheiner and his wife began our practice as a family firm, we feel a special bond with Florida families who know the distress and suffering that accompany serious injuries. We are honored that our firm is a leading choice for local residents who know they can trust us for the highest quality in legal representation, along with the respectful treatment they deserve. Fort Myers and Naples personal injury attorneys at our firm know that the CDC’s research confirms that more than 29 million people nationwide must seek emergency medical care for unexpected injuries. We understand that many accidents happen simply because individuals don’t take the proper precautions to ensure others’ safety. Or problems arise because people are careless. For instance, our Naples and Cape Coral personal injury and wrongful death attorneys know that motorists who choose to drive drunk put innocent people at risk every day. So do drivers who are more interested in talking on their cell phones or texting than they are in driving cautiously. People who fail to lock their guns away where curious children cannot access them may cause accidents. Store owners who allow spills to go uncleaned or products to crowd aisles may set up circumstances for injuries to happen to their customers. Our experienced personal injury lawyers know that negligence and carelessness can spell disaster in any context. If you or someone you care about has been hurt, contact the personal injury and wrongful death lawyers at Associates and Bruce L. Scheiner, Attorneys for the Injured. You pay us no fees unless we win.